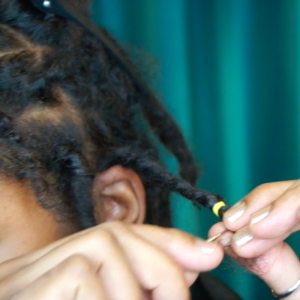 I’m challenging myself and others not to retwist for 8 weeks as part of the No Retwist #NuGrowthChallenge — This is week 1! 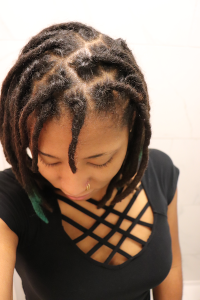 Today also marks 32 months (2 years and 8 months) with my new set of thicks locs. 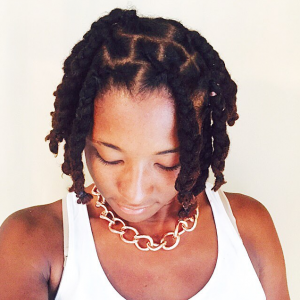 My last retwist (at least for the next 8 weeks) was on Saturday, August 8th and I coupled it with a style. 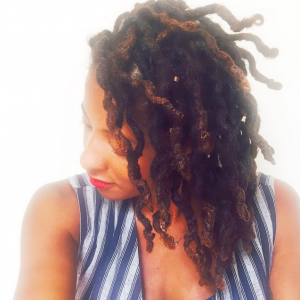 Whenever I’d like my retwist to stay fresh for longer than a few days, I usually style my locs in braids or two-strand twists so that it “sets” my locs in place. I let my locs completely air dry (which I don’t do too often these days) and after a few days, I took the the braids out. I love a braid out because it gives me loose waves in my locs that last for a few weeks or until I wet my hair. Unfortunately, I’ll be wetting my hair very soon because I go swimming at least once a week and my swim cap habitually comes off my head — Longer hair, more problems. 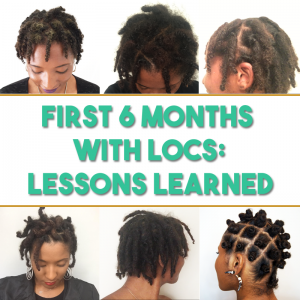 Check out my latest video “No Retwisting & 32 Month Update” for a length check, 360 view, and other challenges that I’m experiencing as my locs are getting longer. So you don’t put a shower cap on in the shower?